The City of Linz Upper Austrian Provincial Capital approached GSA for urban socio-cultural security solutions. Global Security Alliance presented its Goodbye Privacy security concept to an official delegation at the Electronic City Center on September 11. Virtual psychographic security measures and Black Helicopters under Linz are at the core of the GSA security concept and strategic communications plan for the City. 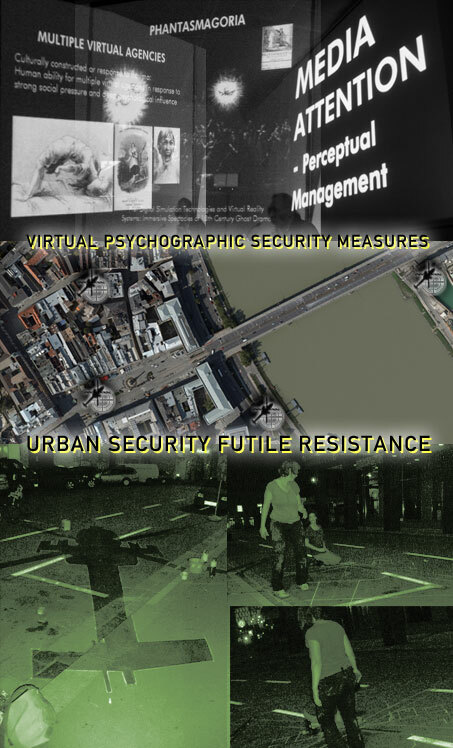 Peacekeeping Force established a set of geo-psychological indicators on the Streets of Linz. Observed by satellites in space, activists armed with chemical detergents and cleaning agents swarmed at night to erase all traces of the dark silhouettes. Resistance is futile with security activists ignorant of the fact that temporary psychographic satellite mapping is based on a cultural field which is enforced with the withering away. Surveillance flights on the following day proved the successful immanentization of control.